Kindermusik is the single best choice for your child. Kindermusik® is a developmental music program which through joyful music-making between the parent, child and teacher seeks to promote cognitive, physical, language, social, emotional and musical development in young children. Each class, geared toward your child’s developmental stage, is taught by a trained and licensed Kindermusik educator who is passionate about transforming the lives of children through musical learning. Children sing, play instruments, dance, explore literature and learn to listen in an active, intent way. Musical goals range from developing a steady beat at 18 months to learning to read music at five years-old. The program is based on the beliefs that all children are musical and that the parent is the child’s most important teacher. Why is music vital to a young child’s development? Before your child learns the ABC’s and 1-2-3′s, early exposure to music is critical to your child’s total development and can make a significant impact on lifelong learning. Research shows us that music helps build children’s self-confidence, enhances complex reasoning and focuses listening skills. It helps children express their creativity and lays a foundation for lifelong musical enjoyment and appreciation. Early childhood specialists and educators suggest that toddlers and preschoolers benefit from daily, informal musical and physical activities with nursery rhymes, lullabies, patty-cake and singing in the home. Well-known research by Dr. Frances Rauscher and Dr. Gordon Shaw shows that young children who participate in musical activities develop a measurable improvement in the type of intelligence needed for high-level math, science and spatial reasoning. 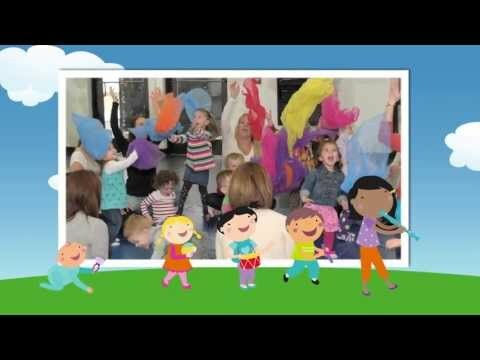 Why should I choose a Kindermusik program for my child? For over 20 years Kindermusik has been and still is the world’s most respected name in musical learning for young children. Every aspect of the Kindermusik program is grounded in these core beliefs: every child is musical, every parent is the child’s most important teacher, the home is the most important place for learning to take root and grow, and based on research, music nurtures a child’s cognitive, emotional, social, language and physical development. From birth through eight years of age, with the caring guidance of a trained and licensed Kindermusik educator, your child can grow with Kindermusik without pressure to perform, only encouragement to explore, express and discover. You’ll see a developmental evolution in language skills, literacy, listening, problem solving, coordination, social skills, self-esteem and musicality! Because of its belief that the home is where learning takes root and grows, Kindermusik classes include home activity books and CD recordings. Suggested activities might be as simple as asking the child to listen for loud and quiet sounds in the kitchen. Exposing children to strings, opera, jazz or choir recordings not only challenges their attention span but lays the foundation for an appreciation of those music genres later in life. With your hectic schedules, quality time with your child can sometimes be hard to find. As you undoubtedly know, the time you spend with your child is absolutely essential for his or her developmental growth. Kindermusik can be your invitation to make the time. The Kindermusik class is a well-planned, educational experience of singing, moving, social and listening skills and much more. Kindermusik makes it fun to learn for both you and your child! The key to the Kindermusik program is parental involvement. Research has shown that children learn best when they are secure. During a class, a child can reach out a bit but he can turn around and mom is still there. Read what people are saying about Kindermusik. The Kindermusik philosophy springs from genuine respect for each child’s individual rate of development. Class activities and at-home materials are designed to honor, support and celebrate the wonderful uniqueness of each child. Learn more about each Kindermusik class.